The Cross Processing filter within Color Efex Pro 4 replicates a traditional method for processing your film, providing you with a digital equivalent. The filter allows you to creatively enhance your image by giving it an unexpected look, while maintaining control over the effect. Cross processing is an analog film technique where you deliberately process your color film in a chemical solution meant for another type of film. Since each solution has been created for a specific type of film, the results can be interesting, surprising, and highly stylized. It gained popularity in the fashion and commercial photographic industry, as well as with wedding and portrait photographers, and has even been used in the film industry. Cross processed images are notable for their unconventional color shifts, saturation, and changes to the contrast, which can range from subtle and soft to drastic. 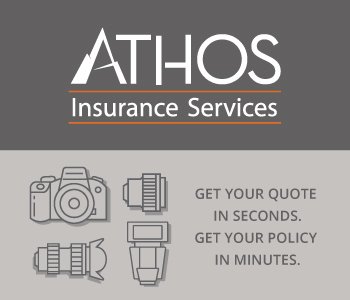 There are also other variables that can affect how the final images look, such as the brand of film used, the film speed or EI, and any over-exposure or under-exposure. Processing color negative (C-41) film in E-6 chemicals – This results in a positive image with a base of a normally processed negative. Images generally have softer contrast with more muted colors. Processing color transparency film (E-6) in C-41 chemicals – This results in a negative image with a colorless base. Images can become more saturated and/or have heightened contrast. There tends to be a bigger color shift or cast with this method. The Method drop-down menu offers a variety of options based on the different processing techniques discussed above. Clicking on the menu will present the different options, broken into two categories: C41 to E6 or E6 to C41. There are 13 different C41 to E6 options, and 6 different E6 to C41 options. 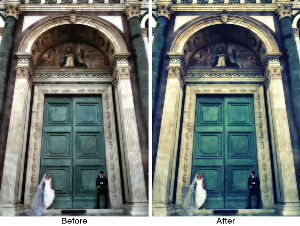 The Strength slider controls the amount of the filtered effect that is applied to your original image. By default it is set to 33%. Moving the slider to the right will increase the effect, while moving to the left will decrease the effect.